Members of a Wisconsin church that burned down said they have reason to remain thankful -- their church's original Bible survived its second fire. 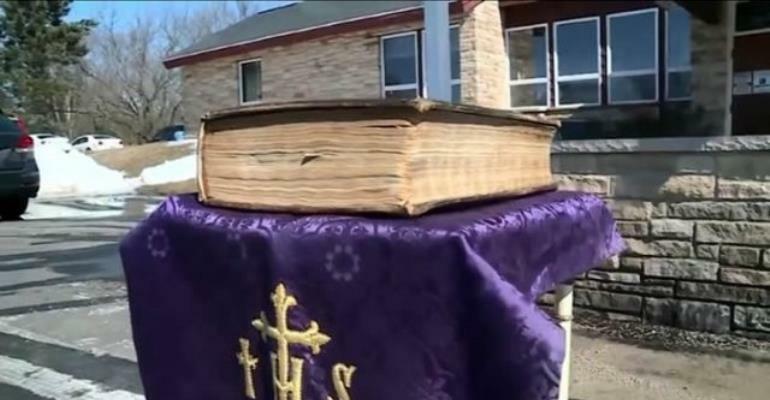 "This bible has survived two fires, in two different churches," O'Brien told WSAW-TV. "We can't open it anymore because of its age, but I think it's a great testament to our faith that still stands strong."